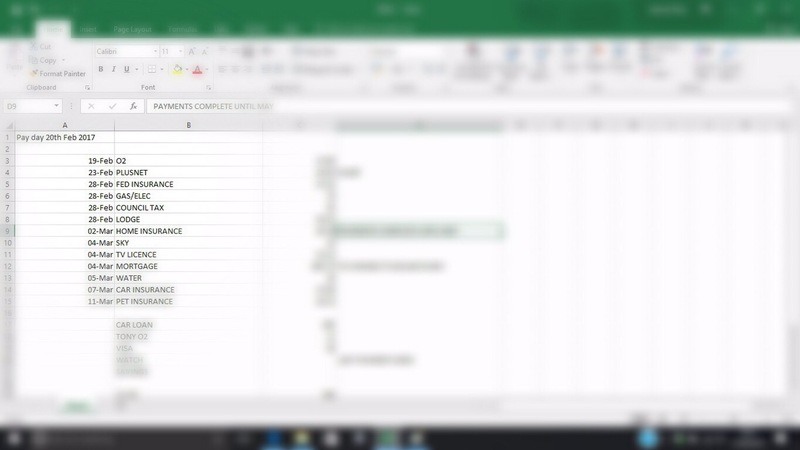 It’s that time of year when I sit down with our bills folder and spreadsheet to review our monthly outgoings. I’ve always been organised with bills and money, but even more so since we became a one income family. Without knowing your incoming and outgoings you cannot have control over your finances, that is why I have a spreadsheet which lists all of our bills & other outgoings, along with the dates and amounts. I can then calculate how much money we will have left for food, petrol, trips out etc. Alongside the spreadsheet I also have a Bills Folder, which is divided in to sections for each bill. The relevant documents are stored behind the page dividers, and on the dividers I have made a note of the renewal date. Many providers will automatically renew your policy/cover/deal and unless you check regularly you won’t even know that the price has gone up. When the contracts of our various bills are coming to an end I shop around to see if we can get a better deal. 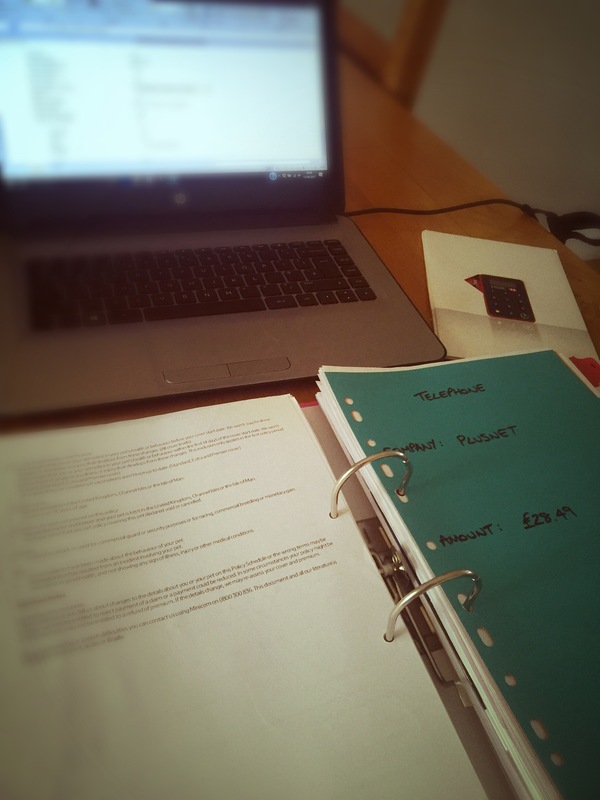 Be organised – find what works for you, I personally find that a spreadsheet and ring binder work really well and I can find the information that I need quickly. Know when your renewal dates are due – then you can decide whether you want to stick where you are or shop around. Shop around – find the best deals, use comparison websites. Some of them even reward you for using them! I have used Money Supermarket.com this morning and qualified for a £75 voucher to spend in M&S, Next or Argos – simply for buying a policy through their site! Contact your supplier – before you decide to switch companies for your bills, ring them up and see if they can do you a better deal. If you don’t ask you don’t get, and if they say no then you haven’t lost anything. Balance transfers – if you have a credit card, look for one that is 0% on balance transfers and factor your monthly payments in to your outgoings. Credit cards are useful if you use them sensibly and have a plan for paying them off, even if it’s little amounts over a long period. I was watching BBC news this morning and they were talking about Broadband providers, that prompted me to review the bills, and sure enough our Broadband contract ran out last month and they have renewed our contract, putting it up £5 a month. I’ll be calling them later today to see what they can do to reduce the cost, and if they can’t then I will look at switching.